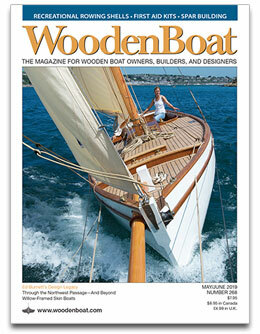 le Canard is a boat that I originally designed as a pedal powered launch. The hull was built of cold molded western red cedar in 1987 to serve as a plug for a mold to build the launch in composite construction. 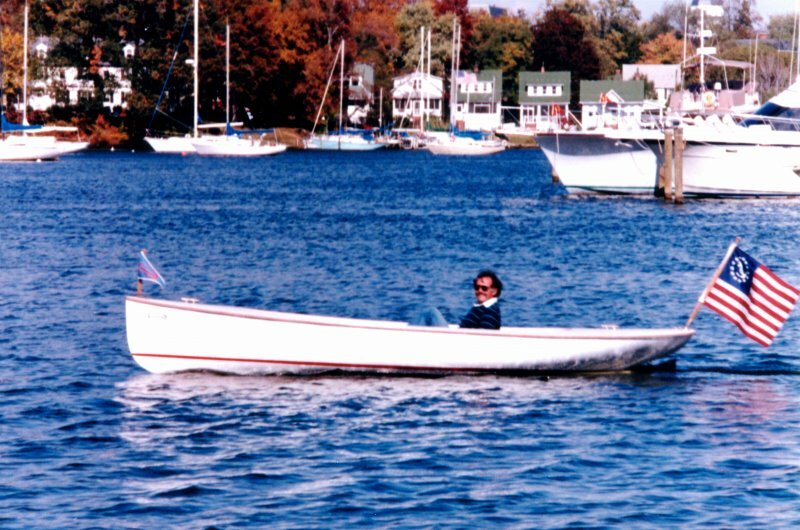 Years later, I removed the extensive interior framework from the plug and built a deck and installed a rudder on the hull. 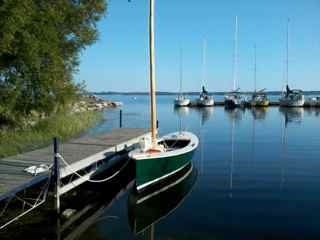 In 2011, I completed the hull and sailed it using the rig from my shellback dinghy. 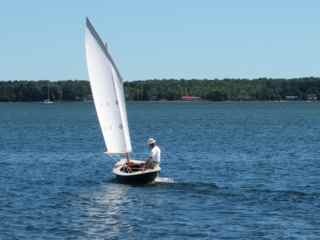 In 2012 I built a hollow mast using the bird’s mouth method and had a sail made by Somerset Sails in Barker, NY. 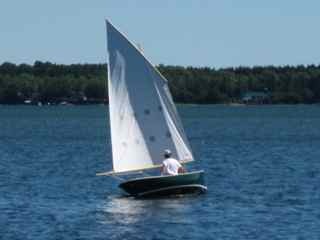 In 2013 I made a smaller daggerboard with the leading edge at a 45 degree angle, enabling me to sail right through the weed beds that are such a nuisance with a vertical daggerboard. 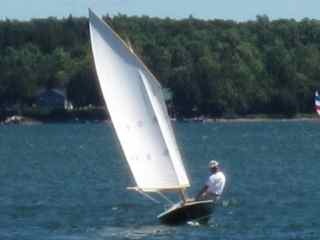 It sails very well with this small daggerboard as the hull itself has a fair amount of lateral resistance and great directional stability.